Do you need extra help for EL students? 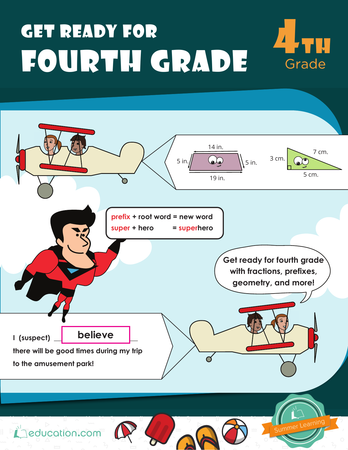 Try the Word Problem Vocabulary Preparation pre-lesson. Class set of Can You Afford It? 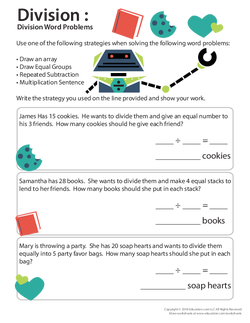 Students will be able to use problem-solving thought processes to help solve multi-step word problems. Write the following problem on the board and ask students to solve the problem in pairs on scrap paper: "Alexis lines up his jelly beans so that he creates an array with 4 jelly beans vertically and 6 jelly beans horizontally. Then, he adds 10 more to the total amount of jelly beans. How many jelly beans does he have in total?" Choose students to share their answers and how they solved the problem. Highlight the question they answered, the equations they used, and the important information and keywords as you jot down notes on the board from their explanations. Have students discuss what they had to do first in the problem (i.e., 4 x 6) and then the next step (i.e., 24 + 10). Choose students that have drawings that represent their answers. Have them show their work and explain their drawings. Tell students today they'll review how to solve multi-step word problems by rephrasing the question, drawing a picture, and labeling important information for each question. Use visuals as you read the word problem. Have students talk to their partners about what the problem is asking them to do before they try to solve it on their own. Provide sentence frames and key terms. 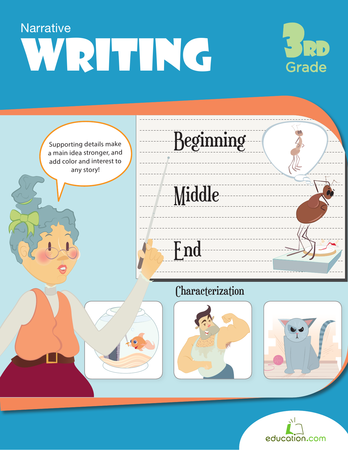 Write down the student presenter's explanation to serve as modeled phrases for future explanations throughout the lesson. Model finding the correct answer to the problem from the introduction by restating the problem, listing the two steps, and then circling important information (e.g., "array," "4 up and 6 across," "10 more," "total," etc.). Write the following word problem on the board: "The class is having a party and students brought desserts. Alejandro brought in 11 cookies less than double the recipe. One recipe should make 24 cookies. How many cookies did Alejandro bring in total?" Read the problem three times. The first time you read, underline the question and restate the situation without any numbers (e.g., "Alejandro is bringing cookies to the party and he makes more than the normal batch, but he does not take all the cookies."). Read the question a second time and circle the numbers or key terms that suggest a mathematical operation (e.g., "double," "24 cookies," "11 less," etc.). Read the question a third time and think aloud how to solve the problem. For example, say, "I know he made double, or two times, the normal recipe of cookies and the normal recipe of cookies is 24 total. So, I need to do 24 x 2. He should have had 48 total cookies, but he had 11 less than the double batch. So, the next step is 48 − 11 because "less" means to subtract. Alejandro brought a total of 37 cookies to class." Read the question one time and restate the situation without using numbers. Read the question again and circle key information. Read the question a third time and think about possible solutions. What expression can you make? What is the second expression? Simplify the word problems and eliminate excess information but keep the vocabulary terms, such as "array," "recipe," "double," etc. Draw visuals to represent each step (e.g., step 1 can have a visual of a mouth and then a number crossed off). Have students restate the information you shared about the word problem to their partners. 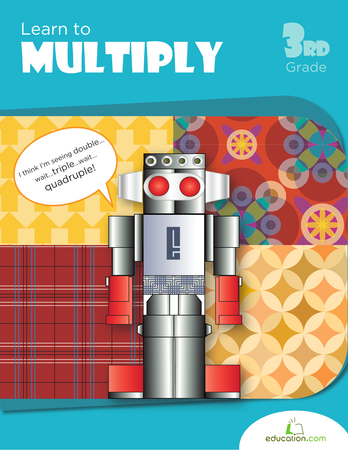 Tell them to reread the steps for solving multi-step word problems in their L1 or L2. Ask a student to summarize for the class how you were able to find out how many cookies Alejandro brought to the class. Then, ask another student to restate the steps you listed on the board to help them solve the word problem. Distribute the first page of the Can You Afford It? worksheet and scrap paper and ask students to follow the steps on the board to answer each of the questions. Allow students to complete the problems in partners, following the steps listed on the board. Have them brainstorm their processes together but make sure each partner completes every problem on their own paper. Stop in the middle of their work and review how to calculate the percentage of a whole number (i.e., the fourth problem from the top on the Can You Afford It? worksheet). See if students can walk you through the process before reviewing the steps yourself. Then, allow another student to show how to subtract using the decimals. Allow students to finish the worksheet page in partners. 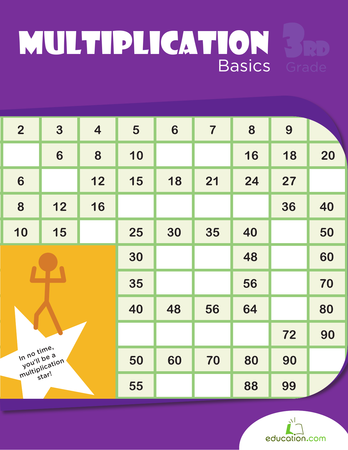 Review all the answers as a whole class to make sure all students have the correct answers before continuing to the independent practice section. Have them restate key information students shared during their explanations. Tell them to draw pictures to represent the word problems so they can point to them during their explanations. Assign one problem at a time and read the problems to them and have them reread the problem back to you. Ask students to restate how to find the percentage of the number and then turn and talk to a partner about the meaning of the word "percentage." Shorten their assignment if necessary and have students focus on their visual explanations of their answer. Distribute the second page of the Can You Afford It? worksheet. Have students complete the problems on their own. Allow students to review their answers with their partners and correct their own responses as necessary. Observe students and take note of any particular problem that many are struggling with. Review the problem with the whole class if necessary. Have students work on one problem at a time in a teacher-led group. Ask students to explain their answers each time and make sure they have the correct one before moving on to the next problem. Provide sequencing words for them to use in their explanations and encourage them to use visuals for support. Challenge students to explain the problem you choose to review with the class after your explanation. 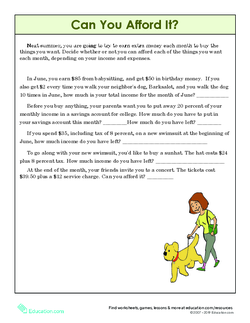 Pre-teach key terms surrounding all mathematical operations, such as "earned," "taxes," "percentage," etc., and their significance or meaning in word problems. Allow students to complete less problems and compare answers with partners. Ask them to explain their process to their partner to show understanding. Pair students with a sympathetic partner that can explain how to solve a problem. 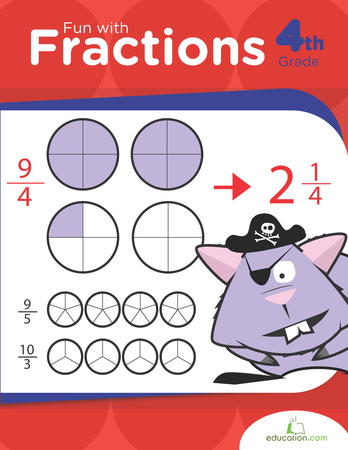 Allow students to explain their process to the class and answer student questions about the word problems. 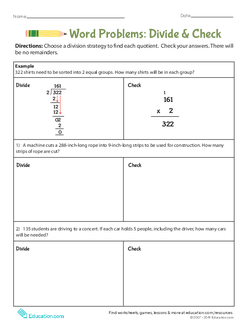 Ask students to create their own multi-step word problems with different operations and values (e.g., some with decimals, fractions, or whole numbers). Allow students to solve each other's problems. Write the following word problem on the board: "Caren is collecting fallen leaves. She finds seven while waiting for the bus in the morning and eight when she gets to school. On the way home, she collects six times what she found earlier in the day. How many leaves did she collect in total?" Distribute a sheet of paper to each student. Ask students to solve the problem following the same steps from the board. Read the problem to your students and have them reread it back to you. Tell them to draw pictures next to the new terms and use vocabulary terms in their restating of the problem without using numbers. Ask students to do step 1 with you in a small group and then have them solve the problem on their own. Have them share their answers with partners afterward. Encourage them to use sequencing words in their explanations. Choose volunteers to share their assessment answer aloud (i.e., (7 +6) x 6 = 90) and tell them to try to convince the class that it's the right answer. Allow students to ask follow-up questions, or challenge the presenter. Ask students to discuss in partners if the checklist was helpful or not in understanding the problem and helping them solve it. 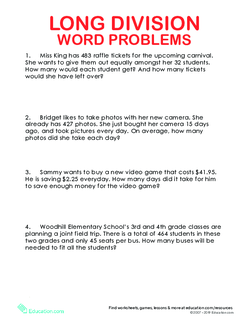 Use their answers to guide future word problem lessons. Have students restate a student explanation and then rephrase, adding to the explanation if they have more information to share.